Grills by themselves aren’t much to look at. They’re basically large, hulking pieces of stainless steel that stick out like sore thumbs in our backyards. So we’re always trying to slip covers over them or wheel them around to the side of the house. It doesn’t have to be this way — designers are coming up with clever ways to make grills actually something that you want to put front and center. As you fire up your grill this Labor Day, consider some of these smoking ideas for an update. Follow function. 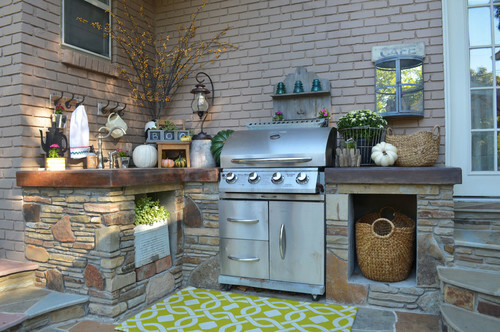 This grill setup packs a lot of function into a small corner. 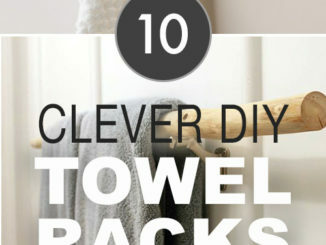 The sink is a great feature that saves countless trips indoors to wash utensils and vegetables. 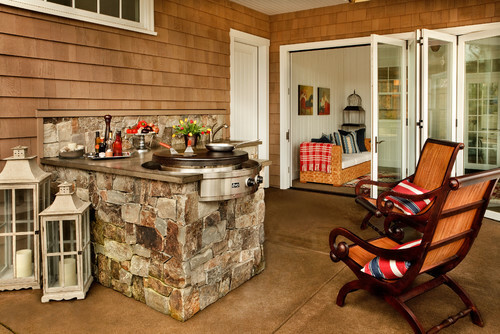 Plus, when the owners aren’t grilling, this spot likely serves as a great gardening station. Here we see the definition of multifunctional. 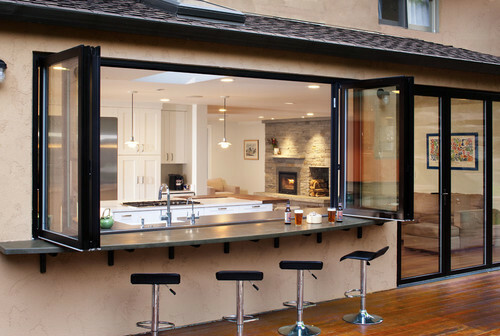 A large grill sits flush with a stone countertop that supports many purposes — an ice bucket, a pizza oven, a fireplace and wood storage. Our prehistoric ancestors sure would have been proud. Let there be light. Did you know that improper lighting accounts for 52 tons of burned meat every year? OK, I made that up, but proper lighting is key for any grilling station, and not just so you can see what you’re cooking. I love how the string bulbs make the grill shown here feel like part of the party. Give it shade. 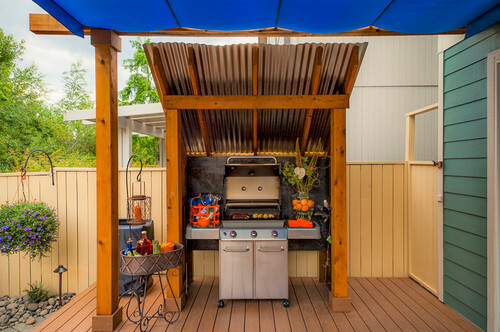 Just as lighting helps facilitate good grilling at night, shade can make a world of difference on hot days. 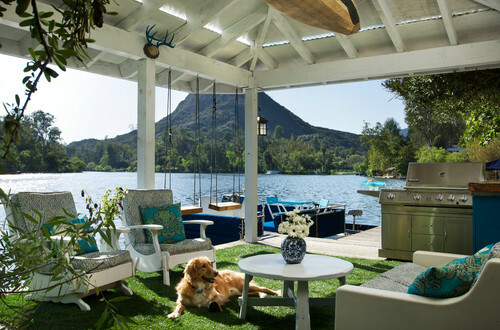 Here a simple shade structure has turned a small porch into a space brimming with character. Imagine this grill sitting on the deck just by itself. Make it unique. 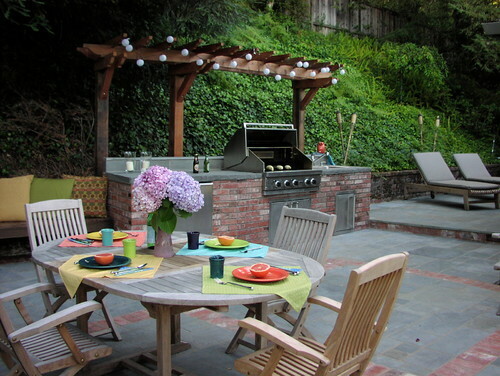 Want to make your grill area more appealing? Do something different. 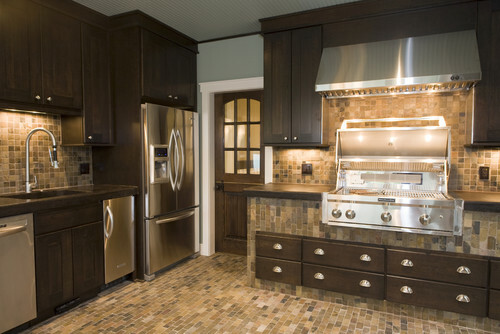 Here the homeowners skipped a grill altogether in favor of an Evo cooktop; in addition to grilling, you can use it to sear, sauté, stir-fry, steam, poach and more. 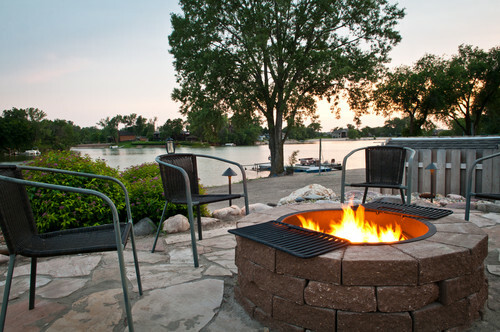 A gas fire pit can be instantly converted to a large grill with two grates. 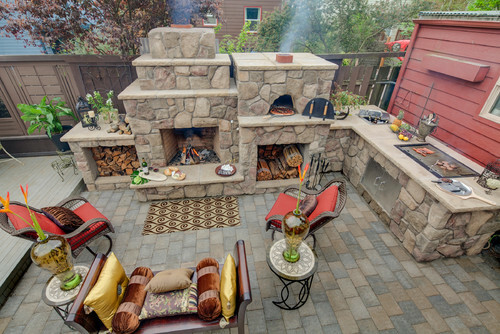 Imagine how a setup like this would change the vibe at your next barbecue. Take it inside. Who says grilling has to be done entirely outside? 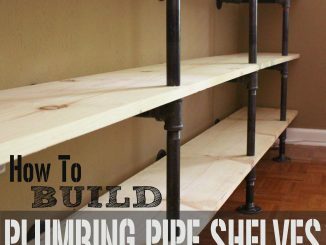 At first glance you might think this is a typical home kitchen. But in fact it’s a screened-in porch with a 36-inch built-in grill, concrete counters, a full-size refrigerator, a dishwasher and even an ice maker. Give it style. 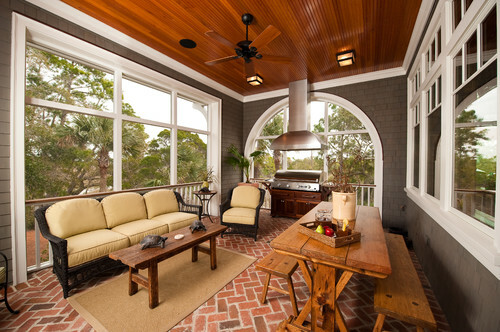 Charleston knows how to do sunrooms. Here a furniture-style case lets the grill blend in with the other wood furnishings. Have a seat. A lot of the grilling process is just sitting around and waiting for things to cook. For that an inviting lounge area nearby is a must. Cushioned furniture like the kind seen here would do the job nicely, but it’s the swing chairs that would really keep you on the edge of your seat. Make it easier. Grilling can also involve a lot of back-and-forth between the kitchen and grill to pick up utensils and ingredients and then deliver the cooked food. A pass-through like the one seen here makes a great addition to any grill setup if you can swing it.